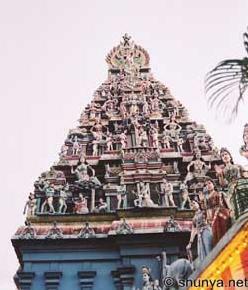 Singapore is one of those places that most people in transit to other destinations in Europe would have visited at one time or another. I am of the view though that Singapore represents much more than just the transit lounge at Chang Airport and that this small country is well worth a visit. Today's Singapore is a small, but modern, vibrant nation that has been able to mix tradition with modern ways of life with some rather interesting results. Those visiting the place are able to walk out of their modern 5-star hotels straight into traditional restaurants and food bars. Those interested in culture and architecture will be able to feast on a combination of very modern structures and building that maintain within them a sense of either Chinese or Malay influences. 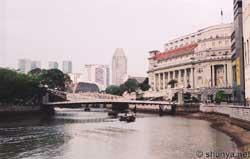 Singapore is basically a trading nation functioning as a gateway to and from other Asian and even Pacific nations. It therefore features a substantial number of traders where visitors are able to buy things such as cameras and jewellery at reasonable to average prices. The transport infrastructure is of interest to those with an interest in transport design and other such issue. As a destination Singapore is safe. Certainly worth a closer look. The two best and recommended airlines to and from Singapore, as far as I am concerned, are Singapore Airlines and Emirates. Recommendations: Safe destination and well worth a visit. Rating: 70 out of 100.